WILLOUGHBY HILLS, Ohio -- Police say a 2-year-old boy has died after falling from a high-rise apartment building in northeast Ohio. 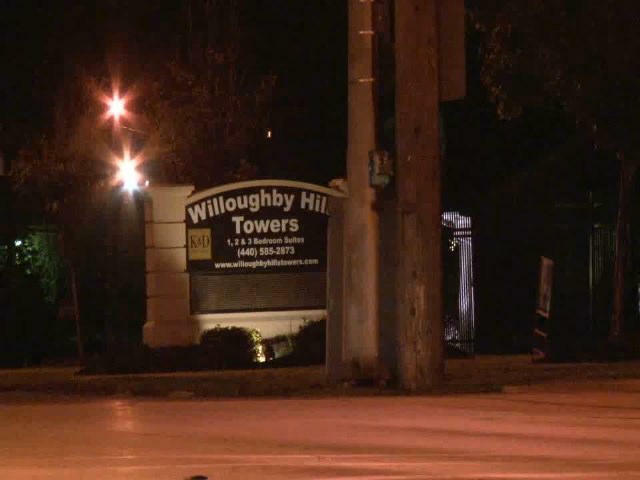 Willoughby Hills police say the boy apparently fell early Wednesday from an 11th story window at the Willoughby Hills Towers apartment complex in the city, about 25 miles east of Cleveland. The boy apparently pulled himself up from his bed onto the window sill, where he pushed through a screen and fell out, the police told CBS Cleveland affiliate WOIO-TV. Willoughby Hills Det. Ron Parmertor says two men who were smoking outside found the boy. Police and fire crews said he was unresponsive on the rear parking deck of the building when they arrived shortly after midnight. The boy was taken to a hospital and pronounced dead. The Cuyahoga County medical examiner has identified him as Anthony Suttles Jr.
Police say the boy’s parents were home at the time of the fall, but there were no witnesses.